1) He will never leave us nor forsake us. 2 And also our clothes would be robes of righteousness. 3) Also my walk in life would not be a lonely one. 4) My Appearance is special. 5) I am a new creature, what a change. Now as we enter into in part 6, I will speak on the topic of “MY MINISTRY”. This ministry is a very special ministry and it requires two persons for it to be right, Jesus and me. 2 Corinthians 5:18-19 (KJV) And all things are of God, who hath reconciled us to himself by Jesus Christ, and hath given to us the ministry of reconciliation; 19To wit, that God was in Christ, reconciling the world unto himself, not imputing their trespasses unto them; and hath committed unto us the word of reconciliation. One of the aspects of reconciliation that this text brings out is that God is the initiator of reconciliation. That is the message of the Gospel. And that should help us in our relationship with others. If we could only learn this lesson. Be an initiator in witnessing to others about the one (Jesus Christ) that can reconcile a person to himself. A) The word RECONCILIATION occurs eight (8) times in the Authorized Version of the whole Bible. The word ATONEMENT occurs once (1) in the New Testament and 81 times in the Old Testament. The meaning of these 2 words is simply the state of being at one or being reconciled, adjustment, and restoration, so that atonement is reconciliation. Thus it is used to denote the effect which flows from the death of Christ for mans sins to the resurrection of Christ for mans Salvation to Christ’ ascension to Heaven (Seated at the right hand of the Father) for mans future glorification. B) A change from enmity to friendship. It is mutual, i.e., it is a change wrought in the one who have been at enmity with God. 1) In Col. 1:21, 22, the word there used refers to a change wrought in the personal character of the sinner who ceases to be an enemy to God by wicked works, and yields (Surrenders) up to him his full being by FAITH. 3) Rom. 5:10 refers not to any change in our disposition toward God, but to God himself, as the party reconciled. 5) So also 2 Cor. 5:18, 19 speaks of a reconciliation originating with God, and consisting in the removal of his merited wrath. 1st reconciliation is divine; it is the atonement, made by Jesus Christ. We are saved by the grace of God through faith in Jesus Christ. Ephesians 2:8-10 (KJV) For by grace are ye saved through faith; and that not of yourselves: it is the gift of God: 9 Not of works, lest any man should boast. 10For we are his workmanship, created in Christ Jesus unto good works, which God hath before ordained that we should walk in them. Verse 8 is the RESULTS of God’s love. Verse 9 is the REASON man cannot take credit. Verse 10 is the REQUIREMENT of God. 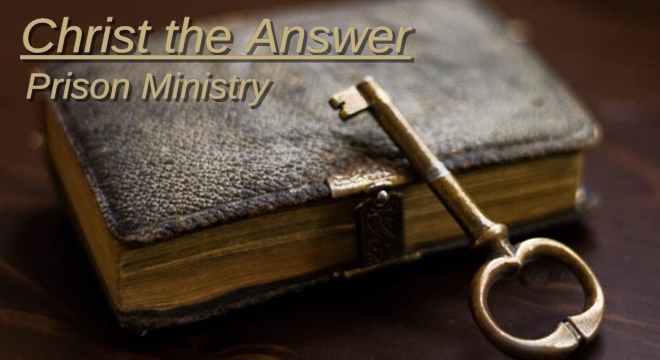 2nd reconciliation is a ministry given to the born-again Christian by God. This ministry means to witness, lead, beg the lost to turn too God for salvation. Mark 16:15-16 (KJV) And he said unto them, Go ye into all the world, and preach the gospel to every creature. 16 He that believeth and is baptized shall be saved; but he that believeth not shall be damned. Proverbs 11:30 (KJV) The fruit of the righteous is a tree of life; and he that winneth souls is wise. Colossians 4:6 (KJV) Let your speech be always with grace, seasoned with salt, that ye may know how ye ought to answer every man. Matthew 28:18-20 (KJV) And Jesus came and spake unto them, saying, all power is given unto me in heaven and in earth. 19Go ye therefore, and teach all nations, baptizing them in the name of the Father, and of the Son, and of the Holy Ghost: 20Teaching them to observe all things whatsoever I have commanded you: and, lo, I am with you always, even unto the end of the world. Amen.